East Elementary is a part of the Cullman City School District in Cullman, Alabama. The EES campus is located in the beautiful historic area of Cullman. We serve students in grades 2 - 6. We offer an excellent educational experience as well as opportunities for involvement in many student clubs, activities, & community involvement. 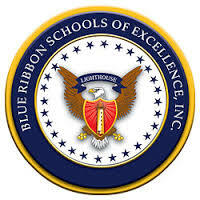 East was recently selected as a 2017 National Blue Ribbon Lighthouse School of Excellence. East Elementary was also selected as a 2015 CLAS Banner School by the Council for Leaders in Alabama Schools (CLAS). East has also been chosen as an International Literacy Association Exemplary School for Literacy. Be Excellent...every day in every way! Click below to view Mr. Wiggins' monthly newsletter.